Price: $3,059.10 - See Lower Price in Cart! The 4500 Watt EF4500iSE weighs 194 pounds, starts with ease with its electric starter, and is capable of running an RV air conditioner, microwave oven and more all at the same time. Designed to be acoustically sound, this extremely quiet generator (53-60 dBA) features Smart Throttle which allows greater fuel efficiency and noise reduction. It will run up to 19 hours at ¼ rated load on a tank of gas. With features such as Built-In Wheels, Electric Start, and an Oil Watch Warning System, the EF4500iSE is one of the most powerful portable medium-range inverters! Suitable for running an RV 15,000 btu air conditioner and 1000 watt microwave oven, or two other major RV appliances simultaneously. Complies with California Air Resources Board Tier III exhaust emission standard. Qualifies for the highest engine life rating (Extended). Exceeds 1000 hours emission compliance. Start and stop the generator from up to 66 feet away. Effortless turn the key to start. Easy starting even in cold climates. Shuts the engine off to protect the engine if the oil level drops. Easy to read meter indicates the amount of power being used and the amount that's available. Displays the amount of running time accumulated to indicate servicing or refueling interval. Aids in lifting and loading. Also utilize for transport and anti-theft security. Indicates amount of gasoline to indicate refueling interval. Stylish Design that is attractive and practical. Four wheels with parking brake for easy transport and security. 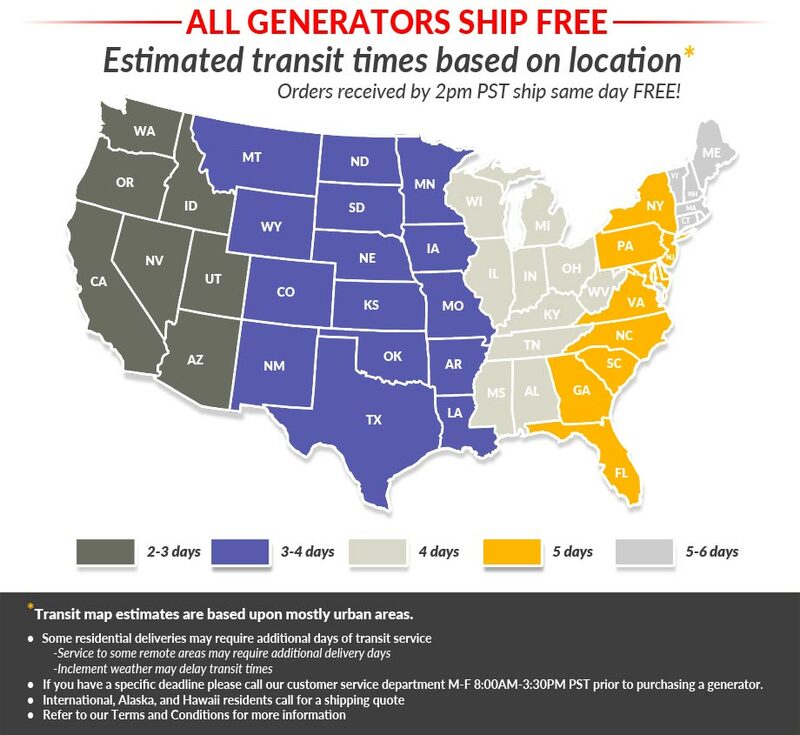 30.7" x 24.3" x 27.2"
Bought this generator on line thru National Supply, They had the best Price , Free Shipping right to my front door, Ordered it on Sunday, shipped on Monday and arrive on a Freight Line on Tuesday, was very well packed! Included with this generator was a battery and acid pack, 2 quarts of oil, all I needed was gasoline, installed everything then turned the key to start it, started within a second could not believe it and also how quiet it really is, it is a little bit heavy but I can still move it around and I'm 72 years old!! 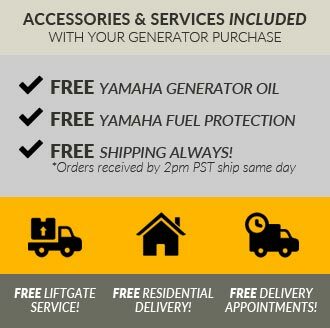 I bought this generator on a Sunday , was at my door on Tuesday, came with everything but gas, filled the battery with acid provided and oil that was provided, put in gas , one start with key started right up, very quiet, a little heavy but worth the money!! excelent genny. rpm stays really low even under heavy loads. i was suprized !